Address: 363200 Republic of Severnaya Osetiya-Alaniya, Alagir, Ch. Basievoy st. ,1. 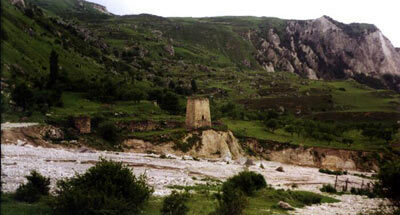 Zapovednik Severo-Osetinsky, in the south of the Republic of Northern Ossetia, was founded in 1967. Its area is 29,0 thousand ha. 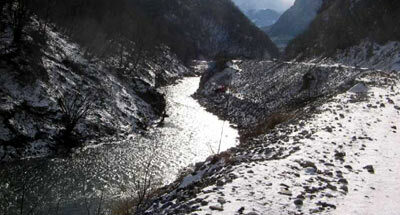 It is located in the Ardon river basin in the Central Caucasus, within a height range of 650-4249 m above the sea level. The relief is alpine, with modern and ancient glacier forms. 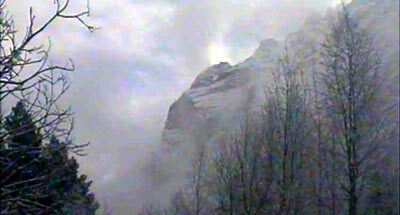 Avalanches are characteristic. Vertical belts in plant species distribution are clearly expressed. Forests cover 20% of the territory. At the bottom border of the forest belt steppe meadows, mountain steppe fragments, and mountain-xerophyte plants are located. The forest belt is formed mostly of pine and birch forests, and to a lesser extent of beech, maple, and mixed woods. On the upper border of the forest birch crooked forest is developed. The alpestrine belt is presented by gramineous-herbs communities and polydominant meadows. In the alpine belt low-grass meadows, "carpets" of vegetation and heathlands are spread. Plant communities on rocks and crumbling slopes are particular remarkable. In the flora more than 1500 species are noted; including rare ones like the common yew, eastern spruce, Campanula ardonensis, and Corylus colurna. Mammal fauna accounts for 44 species, bird species add up to 175. In the Zapovednik live Dagestan auroch, chamois, roe, wild boar, brown bear, marten, and common weasel; fox and wolf are present but rare. Bison have been restored to the Park. Across the Zapovednik go main migration routes of many birds — of crane, steppe eagle (included in the Red Data Book of the Russian Federation), and imperial eagle. Rare bird species nest — black stork, Caucasus black grouse, bearded vulture. Invertebrate animals make up more than 2000 species. The Zapovednik has under its control the Tseisky federal nature zakaznik, established in 1938 on an area of 29,9 thousand ha.